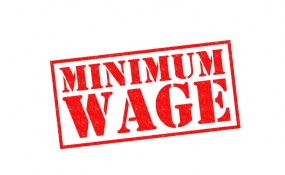 The meeting of Nigeria Governors Forum (NGF) expected to discuss the issue of a new national minimum wage for Nigerian workers failed to hold Wednesday due to lack of quorum. Only five out of the 36 governors turned up for the meeting Wednesday evening at the NGF secretariat in Abuja. Those who came were the governors of Zamfara, Bauchi, Jigawa, Niger and Adamawa states. Governors of Kaduna, Enugu, Nasarawa and Katsina sent in their deputies. Wednesday's meeting was expected to consolidate on the position taken by the Federal Executive Council (FEC), during an extraordinary meeting which held Tuesday at the Presidential Villa. The NEC, which is headed by the vice president, Yemi Osinbajo has all the governors and some relevant ministries and the Central Bank of Nigeria as members. NGF often meet a day to the NEC meeting to discuss issues they would table before it. Organised labour in Nigeria are threatening strike over the delay in the implementation of a new minimum wage of N30,000. Most governors have said they cannot pay the wage, labour is demanding. In the meantime, the Director General of the Buhari Campaign Organisation and Minister of Transportation, Rotimi Amaechi has met with governors under the governing All Progressive Congress (APC) at the secretariat of the NGF. Although the agenda of Mr Amaechi's meeting with the governors is not known, it may not be unconnected with the ongoing campaign of the ruling party. APC governors are part of the presidential campaign council. They were conspicuously absent when the council held its first meeting at the Presidential Villa last week.